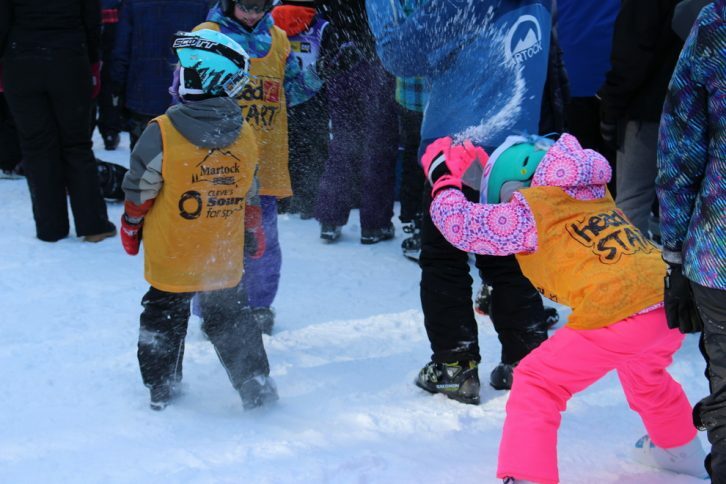 Snow-lovers of all ages gathered at hills across Canada to attempt to break a world record. 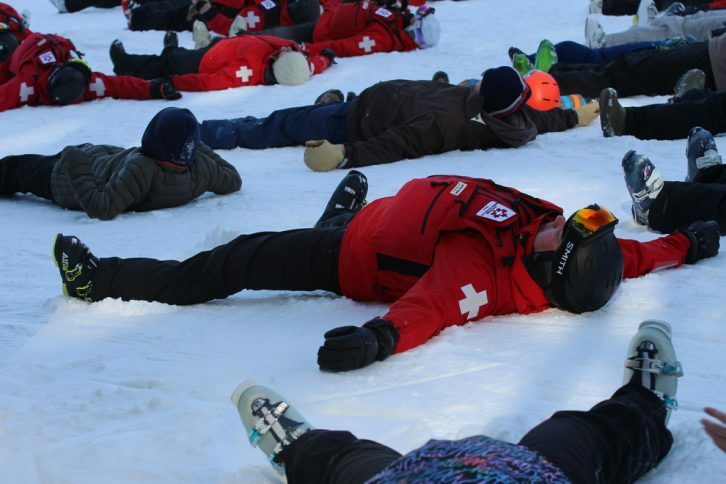 Members of the Canadian Ski Patrol corralled 438 snow lovers at Ski Martock yesterday, in an attempt to help break the Guinness World Record for most snow angels. 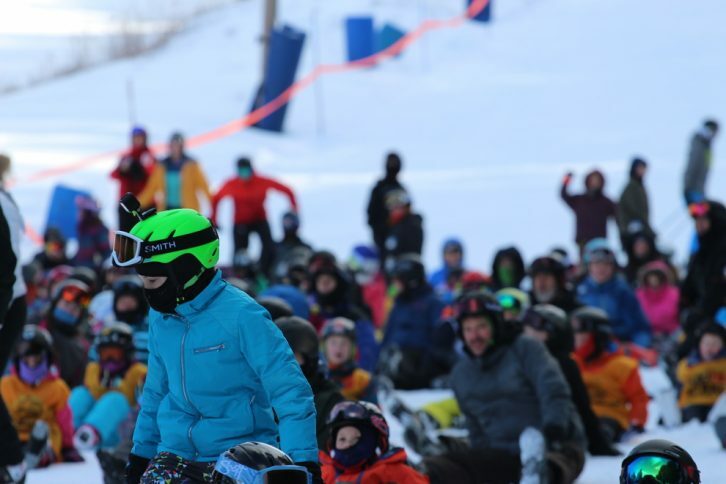 The event was one of several which happened at hills across Canada simultaneously. 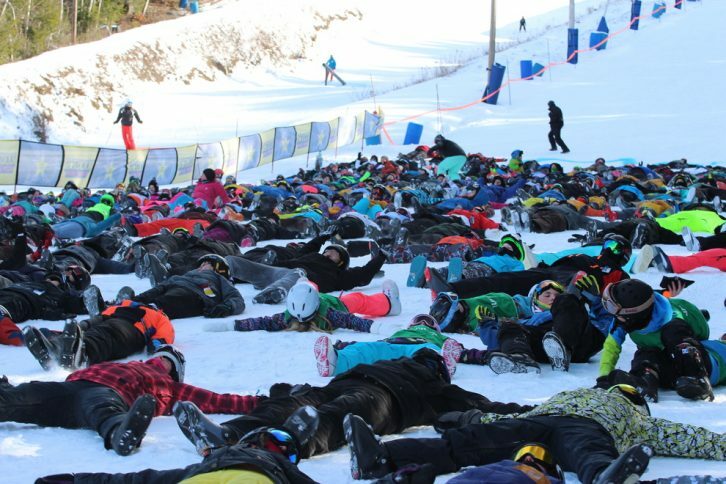 The organizers hoped that the combined numbers of people would break the current record of 15,851 snow angels made simultaneously at different locations. 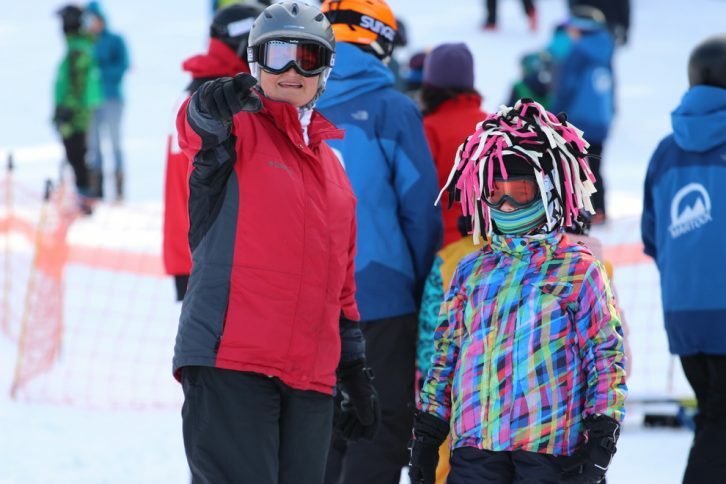 Snow bunnies of all ages giggled with excitement as the countdown began. “10!” People scurried to their positions. “Five!” Angel-makers got comfortable and stretched out their arms in anticipation. “Three! Two! One! GO!” The announcer dropped to the ground and joined the rest of crowd, which was vigorously making snow angels. The act lasted just 60 seconds, but the fun continued all day. 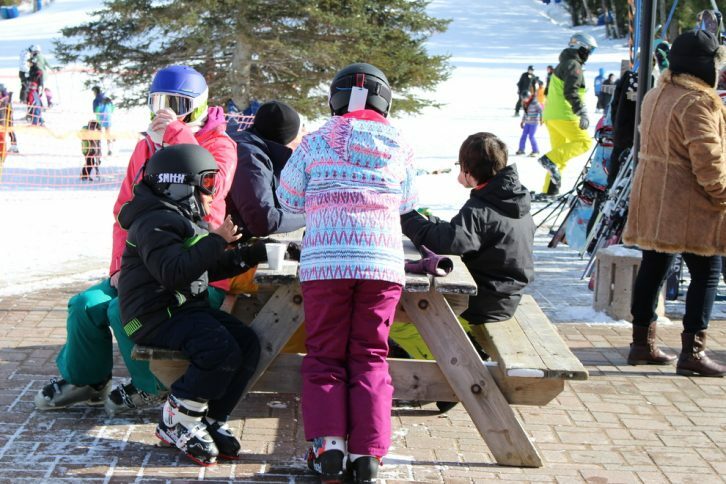 After admiring their work and letting out a cheer of celebration, snow lovers were anxious to get back on the hill to finish their day of skiing and snowboarding — but not before a cup of hot chocolate given out as a reward. 438 snow angels were made at Ski Martock on Saturday. Photo by Jill Ellsworth. 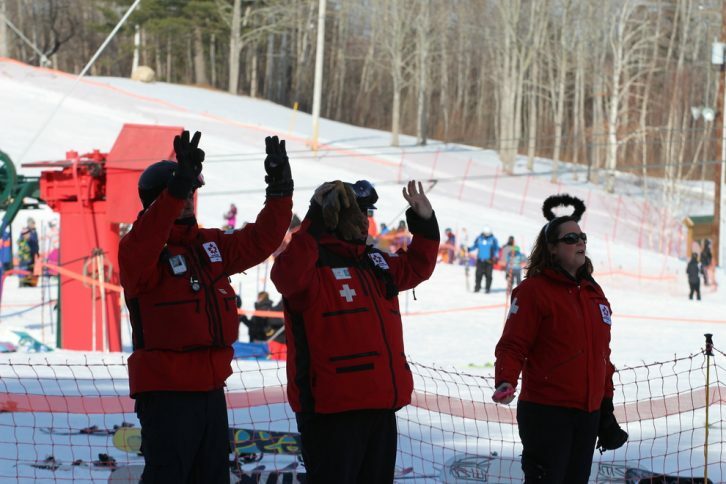 Ski Patrol members counted each participant as they entered the area. Photo by Jill Ellsworth. 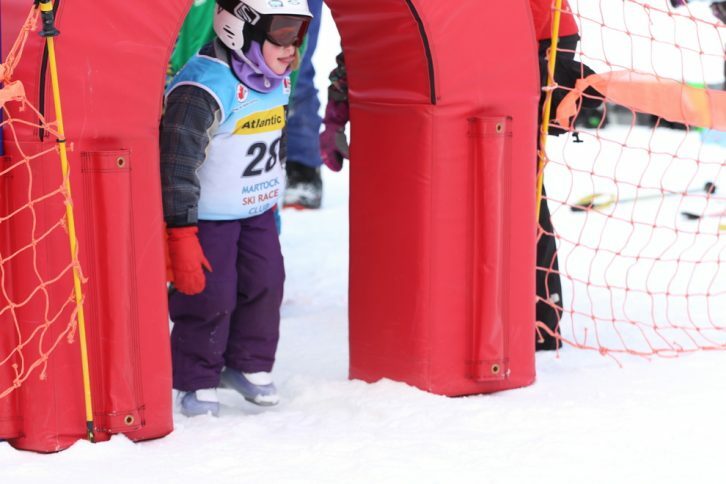 Every person, no matter how tiny, counts toward the record breaking attempt. Photo by Jill Ellsworth. People of all ages joined in on the fun. Photo by Jill Ellsworth. People eagerly took their places, waiting for their cue. Photo by Jill Ellsworth. Timing was critical in order to qualify for the Guiness World Record. Photo by Jill Ellsworth. 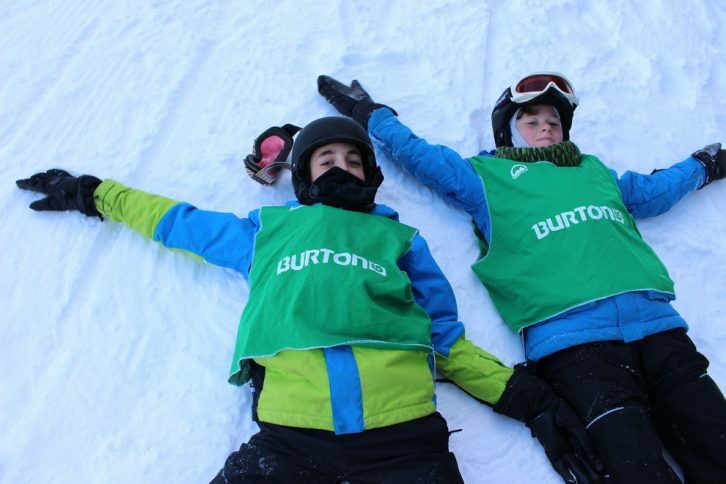 For 60 seconds the 438 participants made snow angels. Photo by Jill Ellsworth. Even the organizers took part in the attempt. Photo by Jill Ellsworth. After the minute was up it was time for a little snow battle. Photo by Jill Ellsworth. 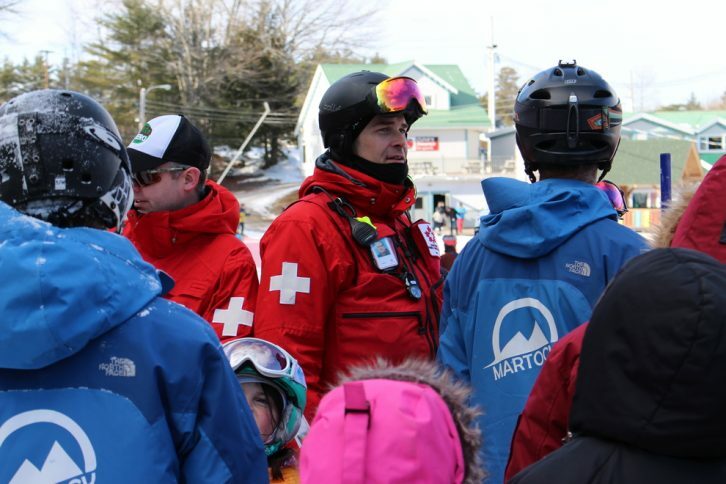 The event was part of Canada Ski Patrol Day. Photo by Jill Ellsworth. 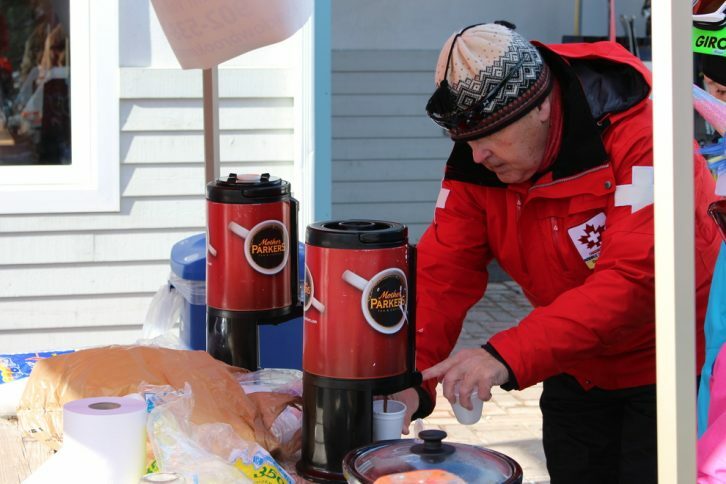 Steaming hot chocolate was given to the angel-makers. Photo by Jill Ellsworth. 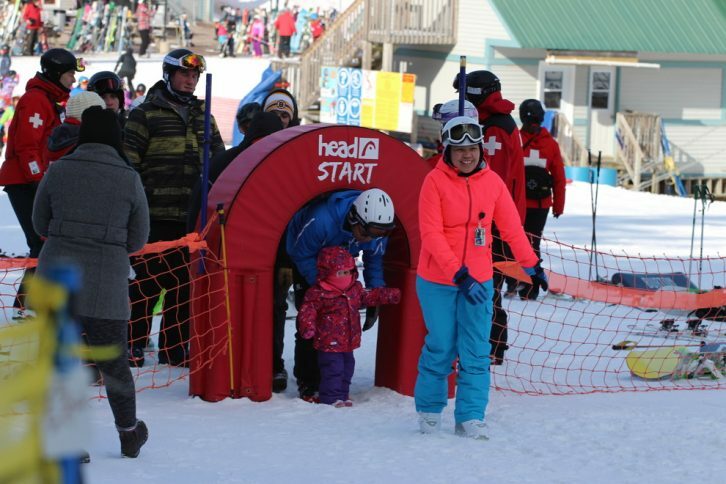 The fun continued all day at Ski Martock. Photo by Jill Ellsworth.